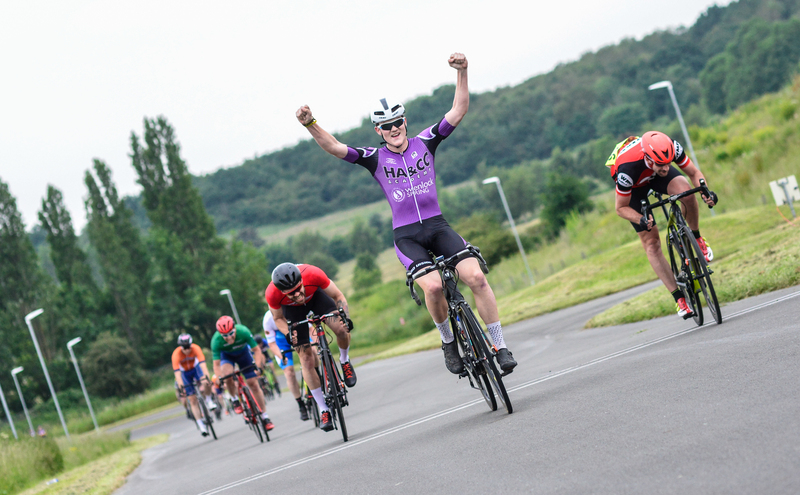 KIRK Vickers (Rhino Velo Race Team) took his third victory of the South Staffordshire and Shropshire Road Race League to regain the overall series lead with another perfectly timed effort in round five. 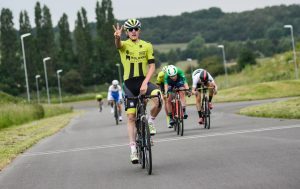 The 24-year-old, from Whitchurch has now won every other round of the series and outdid the pure sprinters again with a perfectly timed move in the last mile on the closed-circuit track at Stourport. The tight nature of the track meant that the riders were split into two races with the slower two groups competing in the first race before the fastest two raced in the second. In the first race Daniel Morris, from Bridgnorth, sprinted to a clear victory holding off West Midlands Police CC team-mates Gerry Blackman and James Gibney placing second and third respectively. Mellissa Brand (Cycle Team Onform) was first woman in 22nd. The second race saw the junior, veterans and overall leaders go head-to-head over the 50 minutes long circuit race in which saw riders complete 25 laps. Vickers was part of a seven-man breakaway which would prove decisive and built up a lead of over 45 seconds on the chasers. He timed his winning move to perfection attacking with only a minute left of the race and narrowly holding off his fast chasing rivals to clinch the victory. Junior category contender George Mills-Keeling (Pro Vision Race Team) finished second narrowly edging out team-mate Ben Joughin by a tyres width. Junior series leader Jamieson Blain (Zappi Racing Team) was close behind finishing fourth on the night. 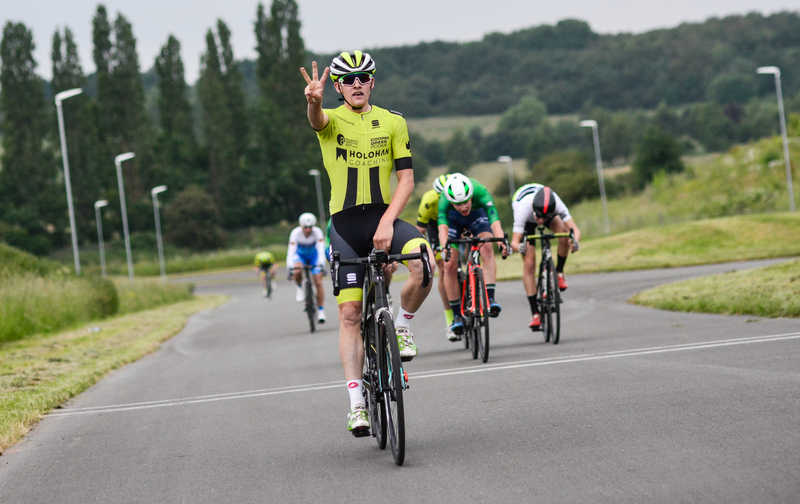 Overall series leader Matthew Garthwaite (Rhino Velo Race Team) was left in the chasing in the group behind finishing 12th and will hand back his yellow jersey to Vickers for the second time this series. Rob Childs (Stourbridge CC) was the leading veteran home in sixth while team-mate and veteran overall leader Philip Glaze finished 17th. “It started pretty quickly and on the first few laps I tried to force a breakaway,” said Vickers. “The breakaway eventually did happen and we worked well together pulling out a decisive gap. I tried to go solo a few times but kept getting reeled in. “With half-a-lap to go I attacked from the back of the breakaway before the bottom hairpin and got the winning gap. With seven rounds remaining the series heads to Enville next week and Vickers is looking to defend his overall leader’s jersey. He added: “Matthew Garthwaite and Ben Joughin are by biggest threats for the overall. Me and Matt (Garthwaite) haven’t won in the yellow jersey and passed it to each other as you are marked when you’re wearing the leader’s jersey.